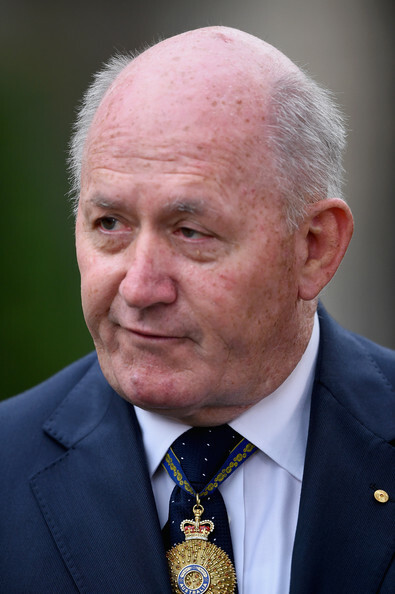 Where’s the Governor-General when you need him in a constitutional crisis? The power of the Governor-General is prescribed in the constitution and detailed in constitutional practice. While the Governor-General customarily acts on the advice of relevant ministers communicated through the Federal Executive Council, there are times when the Governor-General can act without, or contrary to that advice. Overall, the Governor-General has the responsibility of ensuring the execution and maintenance of the constitution. The Coalition currently holds 76 seats in the lower house, the minimum number required to form government. Barnaby Joyce MP and Senators Fiona Nash and Matt Canavan, all of the National Party, currently have cases before the High Court to determine if their dual citizenship precludes them from holding federal office. Section 44 of the constitution is worded to ensure no federal member is beholden to a foreign power. There may be some room for interpretation for individuals who unwittingly held dual citizenship with another country whose head of state is also Queen Elizabeth II. Can one truly be considered beholden to a foreign power if said power has the same head of state as Australia? However, there is no room for such interpretation when the dual citizenship is held with a country outside the Commonwealth. For example, the meaning of the constitution would be quite clear if someone were a dual national of Italy, as is Matt Canavan. On the face of it however, all three members appear to be in breach of Section 44 of the constitution. Their eligibility to sit in parliament could not be subject to more serious questioning. Remaining in cabinet under such conditions is phenomenally irregular. However, the High Court is unlikely to make a decision before October. Then, if Barnaby Joyce is ineligible to hold office, his seat would likely be re-decided in a by-election. In the mean time, could the government itself be considered unconstitutional? If Barnaby Joyce is ineligible then the Coalition only holds 75 seats in the lower house. It has been reported that when parliament next sits, if Joyce doesn’t refrain from voting, Labor will seek to have all votes deferred. Is this a basis on which the Governor-General can be assured of the Coalition’s ability to maintain government? More broadly, in section 64, the constitution also states that no minister can hold office for any longer than three months without being elected to parliament. While common law protects the decisions made by those who thought they were acting out the duties of their rightful office, neither Joyce nor Nash have resigned from cabinet since learning of their predicament. As such, the decisions they make moving forward cannot fairly be interpreted as made while thinking they were performing duties of rightful office. Given such a constitutional crisis, where is the Governor-General and what is he saying on the issues at play? At present, it seems the Prime Minister, and the government more broadly are waiting for the High Court to decide the fate of the suite of parliamentarians who have discovered they are dual citizens. The High Court is unlikely to make a decision before October. However, especially considering the number of individuals who have not resigned, but retained their office and in some cases, cabinet positions, the time has come for greater oversight and employment of the responsibilities of the Governor-General. Posted on August 20, 2017 August 22, 2017 by Susan	This entry was tagged Australia, government, law, leadership, politics. Bookmark the permalink.